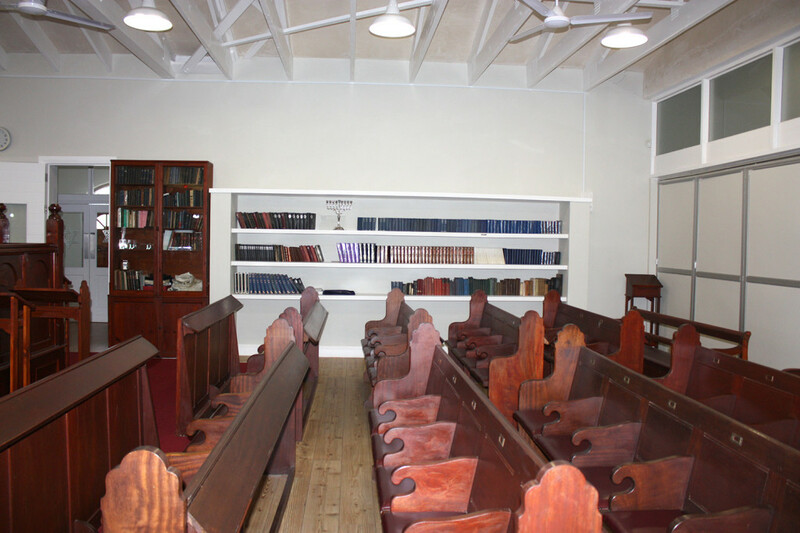 The Hermanus Hebrew Congregation Shul has a large banquet hall seating up to 130 guests. It has fully functional Kosher kitchen and ample toilet facilities. With 3 large outdoor areas for the possibility of Marques as well as a permanent built Suukah makes this the ideal venue for a wedding/Party with a difference given the pure natural beauty of Hermanus. There is also the added benefit of a fully furnished 3 bedroom house available for use should it be required that a Rabbi's services should be needed. This is of course a Kosher facility. The location of the Shul nestled between the Kleinrivier Mountains and Hoy's Koppie gives it a very calming and beautiful setting. Please contact us should you require further information or click below to fill out an enquiry form.